Does this name have you salivating or what? 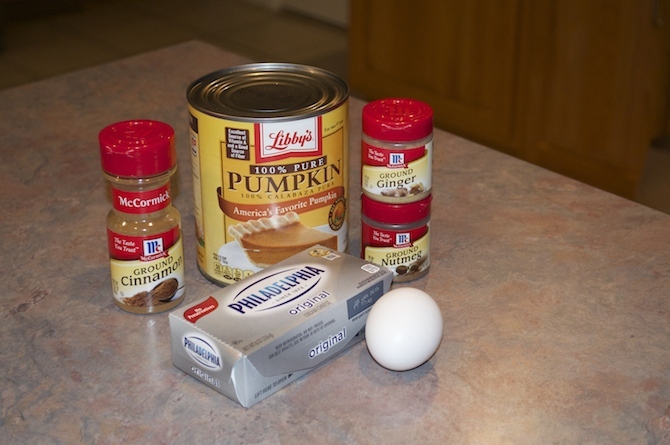 This is not just another pumpkin spice recipe. This is a from scratch, Pinterest-worthy fall treat that you MUST make (even though it might take a hot minute or two…). Trust me, it’s worth it. So why did I, and why should you, bother? After being restricted to pitiful one-pot college timesaving recipes, I decided it was time to switch it up and really challenge (but mostly reward) myself. I dug into my family’s old recipe box to pick out a failproof gem that would be appropriate for fall. These autumn-style cinnamon rolls seemed like the way to go—even the name of the recipe sells itself. 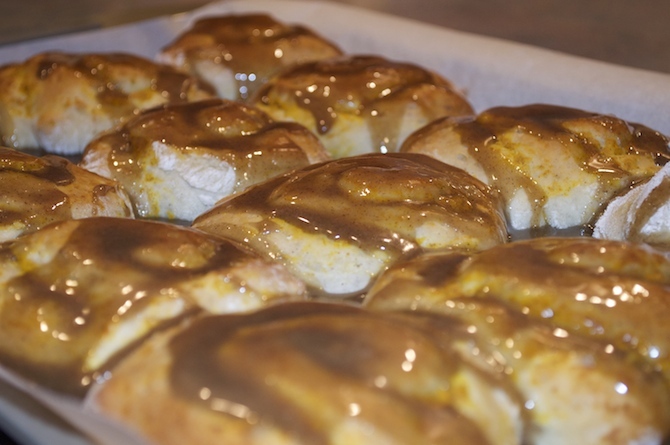 Cinnamon… Pumpkin… Salted Caramel—you should be salivating at this point—rolls. So if you, like me, are feeling ambitious, drive home to your family’s stocked kitchen and follow this oh-so-worth-it recipe. Can’t make the trek to home sweet home? 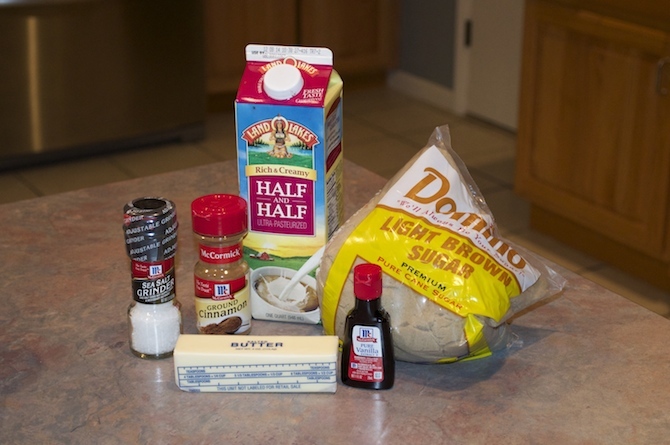 Take out whatever tools you may have in your college kitchen and whip this recipe together, because your taste buds will be rejoicing, bite after decadent bite. 1. 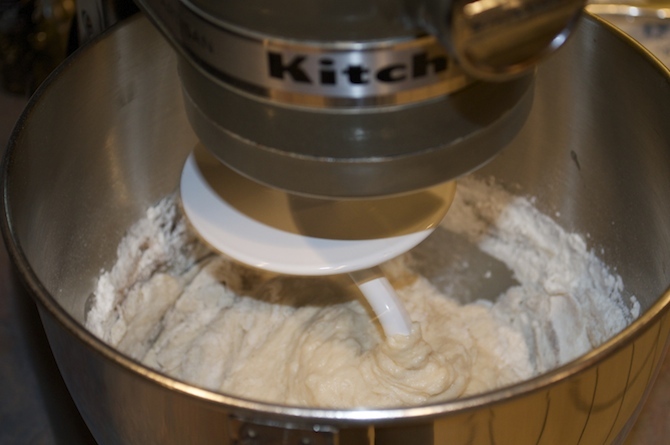 Place all dough ingredients into a stand mixer fitted with a dough hook. 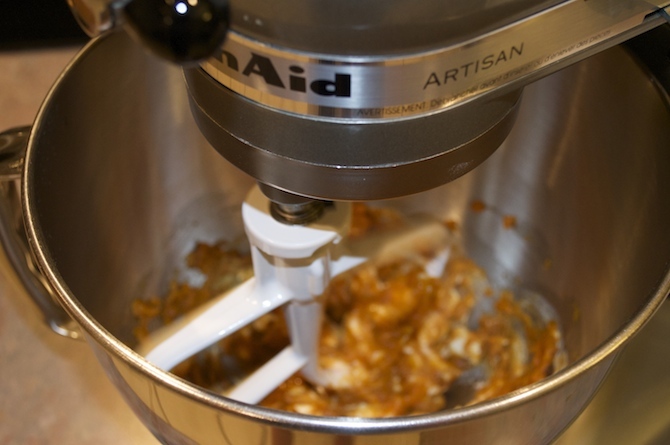 (If you don’t have a dough hook, try mixing the dough ingredients by hand. It should work just as well). 2. 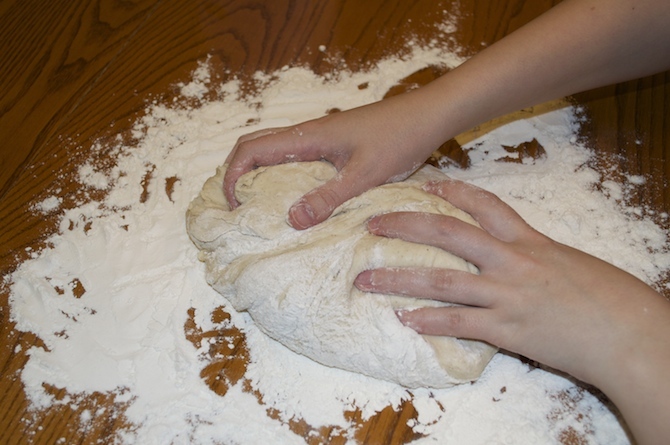 Once dough comes together, knead it on a floured surface. 3. 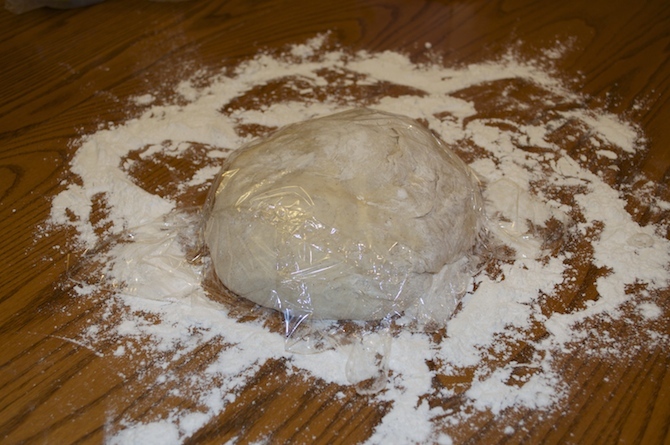 Cover dough with plastic wrap for 15 minutes to allow dough to rise. 4. 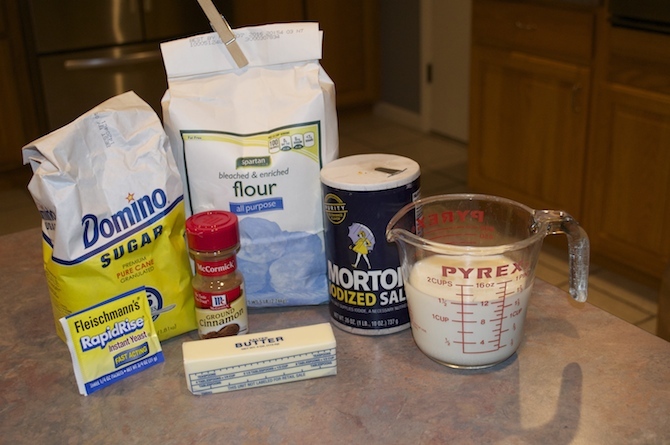 While dough is rising, place all filling ingredients into a stand mixer and cream together. (No stand mixer? 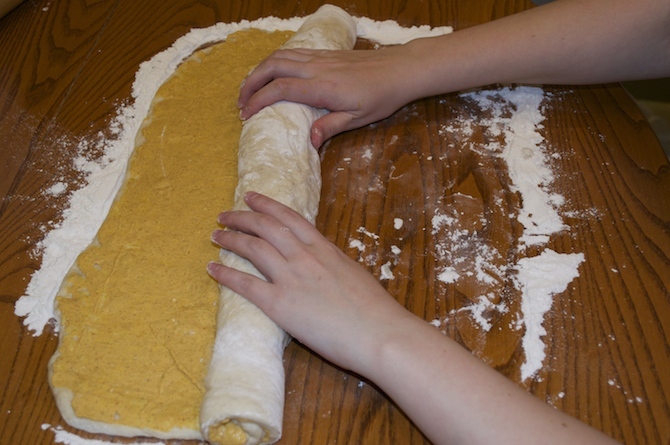 Get those fingers ready and mix well by hand until a paste is formed). 5. Preheat oven to 350º. 6. 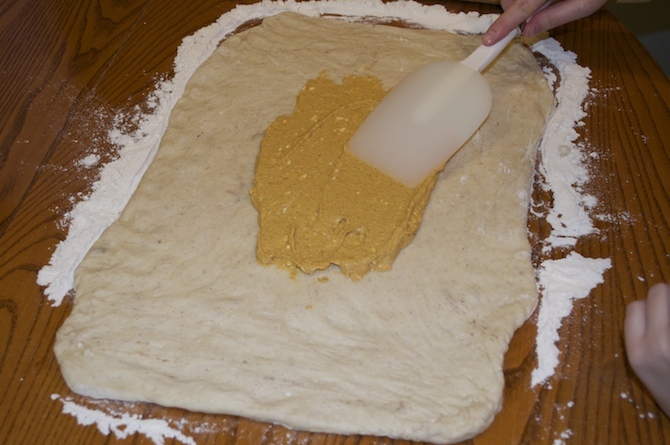 After 15 minutes of rising, roll dough out into a 12×18 rectangle with a floured rolling pin. 7. 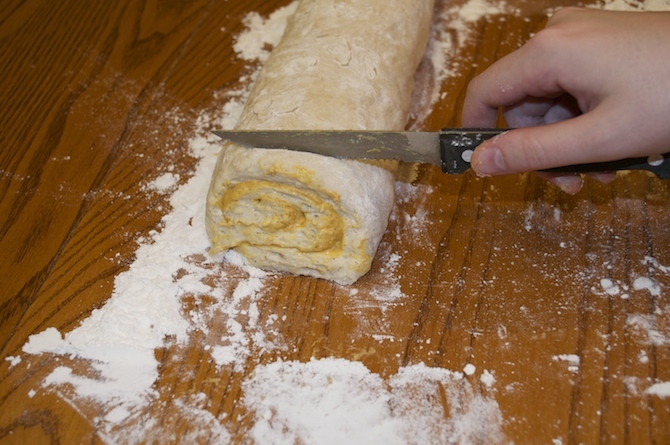 Spread filling over the entire rolled surface except for one long 1-inch side (so you can roll it). 8. Roll the dough up starting with the uncovered strip. 9. Slice rolled log into cinnamon roll-sized rounds with a serrated knife. 10. 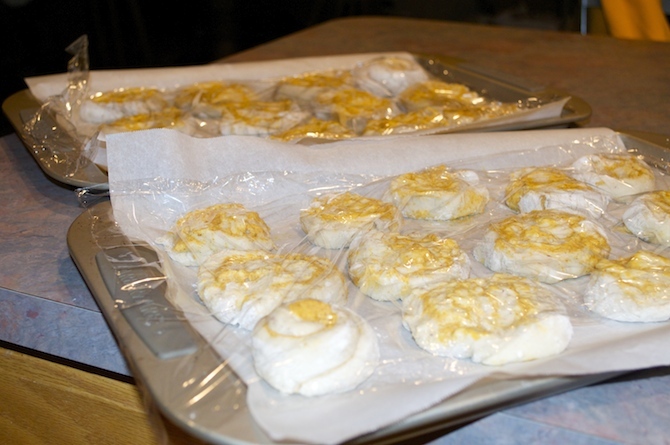 Place rounds onto a parchment paper-covered baking sheet. 11. 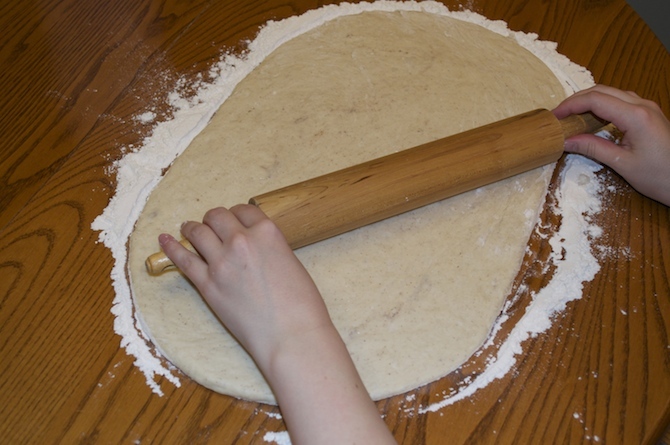 Cover rounds with plastic wrap to allow dough to rise for a second time for 20 minutes. 12. 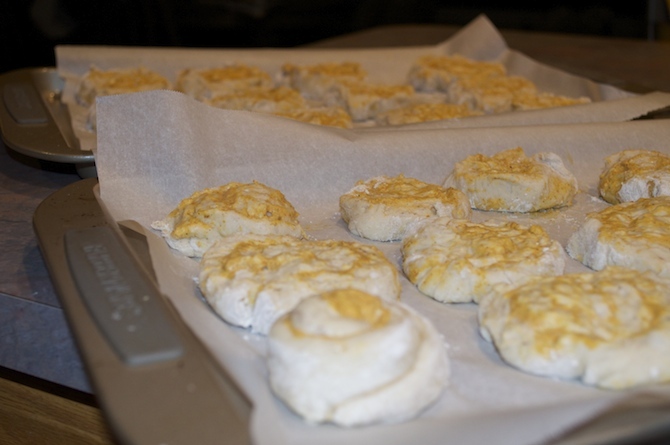 Once dough has risen, put trays into oven (one at a time) for about 20 minutes each or until golden brown. 13. While rolls are baking, combine all glaze ingredients except the vanilla and sea salt into a small saucepan on a cook top. 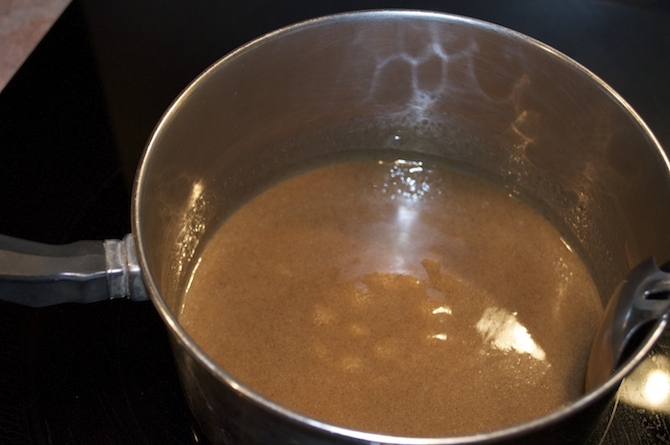 Stir on medium-high heat for about 5 minutes, until slightly thickened. 14. Once thickened, add the vanilla and sea salt. 15. As soon as the rolls are taken out of the oven, drizzle them with the salted caramel glaze. 16. Allow to cool for about 10 minutes (unless you’re like me and will sacrifice a burned mouth for that first bite), then dig in and enjoy all of your hard work!